HAY GUYS! 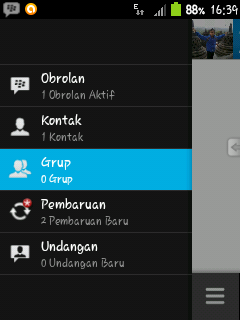 BUAT ANDROID ANDA YANG BELUM SUPORT BBM. KARNA RIM HANYA MERILIS BBM UNTUK ARMV7/ICS KE ATAS . DAN INILAH ALTERNATIF UNTUK ANDROID ANDA YANG BELUM SUPORT!